Domestic Violence As Cause For a Houston Divorce | Lindamood & Robinson, P.C. In many states, domestic violence is recognized as a ground for divorce in Houston. In other states, like Mississippi, domestic violence is not recognized as grounds for divorce in the state. A recent effort to add domestic abuse as a ground for divorce was recently denied by Senate in the state of Mississippi. More specifically, the proposed statute would have made domestic violence the thirteenth ground for divorce. Provided that an individual could present clear and convincing evidence that an individual attempted to cause or knowingly caused bodily injury to their spouse, the victim would be able to use this basis as the ground for divorce. Because domestic violence is still not a ground for divorce in every state, it is very important for individuals to understand how this ground can be used in order to obtain a divorce in the state of Texas. The state of Texas finds domestic violence to have occurred when a family member causes or intends to cause physical harm or fear of harm, injury, or sexual abuse to another individual in the family. This harm can include physical harm or threats. Fortunately, the Texas court system allows the effect of domestic violence to have a significant influence on many aspects of divorce. Because Texas is a no fault state, a spouse can simply request a divorce without a reason for the decision to end the marriage. Showing that domestic violence occurred within the marriage, however, can have lasting repercussions. One of the grounds for divorce in Texas is cruelty, which occurs when one spouse treats the other spouse cruelly and living together is unsupportable. Proving cruelty can be particularly difficult because many cases rely upon contrasting witness testimonies. 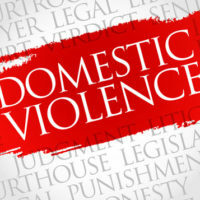 Individuals can greatly help support the claim that domestic violence occurred within the course of a marriage by providing police reports, medical records, text messages, and other types of documentation. While a divorce is pending, a victim can often obtain a protective order against the spouse that caused the domestic violence. This protective order can affect a person’s employment, ability to carry a firearm, and even result in criminal charges if the spouse violates the terms of the order. Courts in the state of Texas seek to assign child custody based upon the court’s determination of what is in the best interests of the minor children. Some of the factors that influence a court’s decision include the mental health of each parent and any personal behaviors of either parent that may negatively affect the child. As a result of these considerations, domestic violence can greatly affect a court’s custody decisions. If you experienced domestic violence within the course of your marriage and are now seeking to end the relationship, you should first make sure that you are safe from any threats and then contact a seasoned lawyer like the legal counsel at Lindamood & Robinson, P.C. who can help your case resolve in a positive manner. We serve clients in Houston and the surrounding areas.